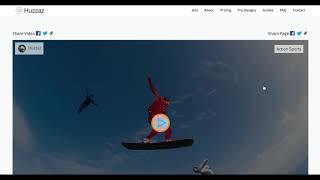 Add A Floating Video Gallery To Your Website This is an easy way to add a floating video gallery to your website so that when a user scrolls down the page, the video will minimize and float to a corner of the website and remain viewable. 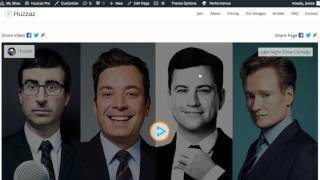 It uses the Huzzaz platform so that you don't have to do any custom coding yourself and it works with HTML, WordPress, SquareSpace, Tumblr, Weebly, and many other website builders. 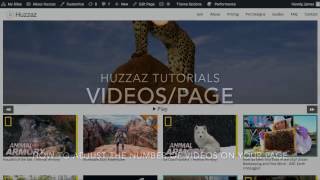 Add Video Search A video tutorial on how to add search functionality to a Huzzaz video gallery when embedded on a website. 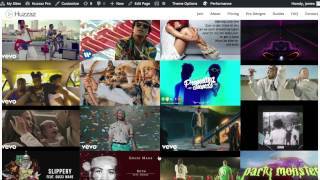 Huzzaz makes it easy for anyone to create and embed video playlists in to their website and social media as custom streaming video channels. 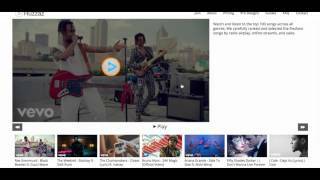 Video playlists can include YouTube, Vimeo, Facebook, and Twitch videos (more coming). 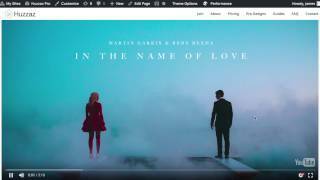 Add Title Overlay When Thumbnail is Hovered A video tutorial on how to add titles that overlay on top of the video thumbnail when hovered over when adding a Huzzaz video gallery to your website. Show First Thumbnail As Featured Image A video tutorial on how to enable dynamic thumbnails for a Huzzaz video gallery. The featured image for the video gallery will be the thumbnail image of the first video within the video collection. 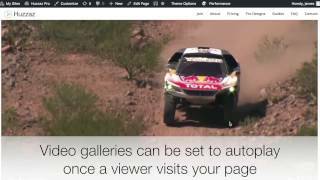 Autoplay Videos On Your Page A video tutorial on how to use the Auto Play feature for a Huzzaz video gallery embedded on a website. 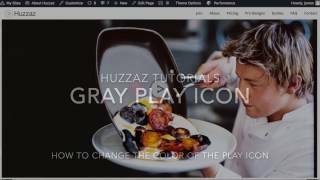 Use A Neutral Gray Play Icon A video tutorial on how to add a gray play icon to a Huzzaz video gallery. 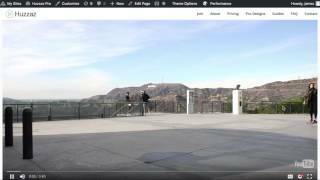 Add Navigation Arrows A video tutorial on how to add navigation arrows to a Huzzaz video gallery with horizontal scrolling video thumbnails. 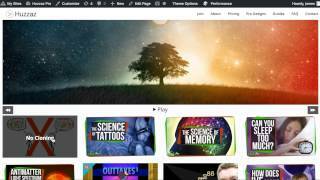 Show Video Playlist Layered On Top Of Video A video tutorial on how to show video thumbnails layered on top of the featured video by default. Grid Layout without Spaces A video tutorial on how to remove the white spacing when using the Huzzaz video gallery with grid layout.